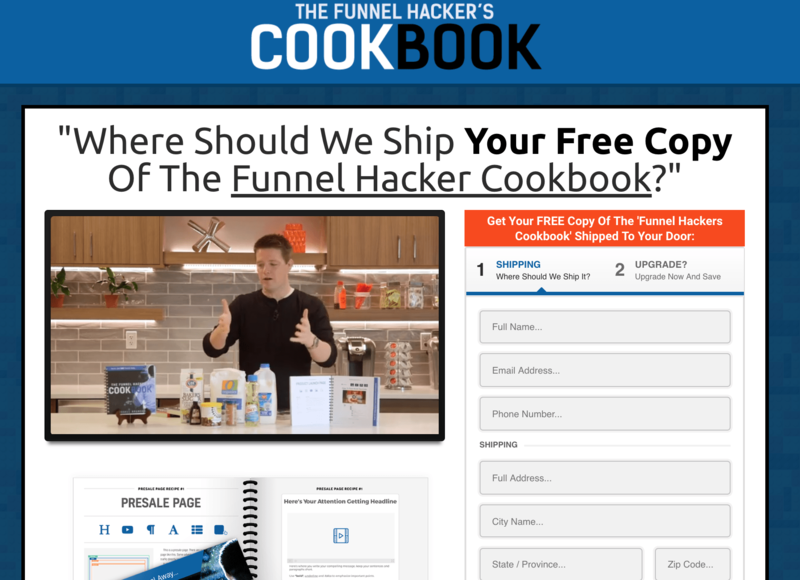 The Funnel Hackers Cookbook Review: Must Get For Funnel Builders! 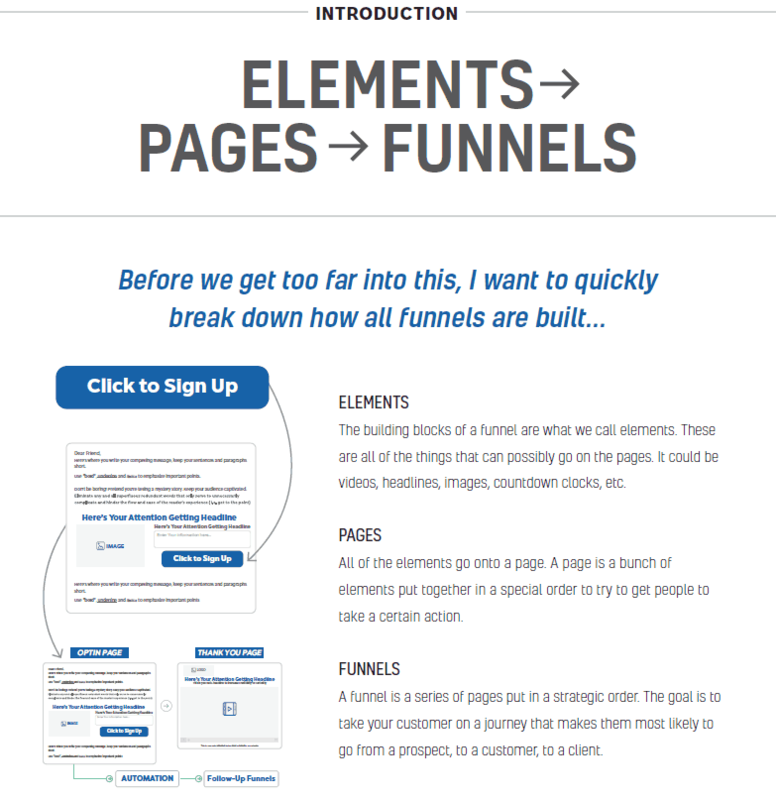 Step-by-Step instructions to build funnels easily. Explanation for the different funnels you can build with Clickfunnels. Guides you along to build many funnels explained in his other books. Pretty much usuable only if you have a Clickfunnels account. The cost is a little steep for the boot especially if you're not in US. What It Is: The Funnel Hackers Cookbook is meant to compliment Russell’s main product, Clickfunnels. The idea of this book is like a recipe book that breaks down every element of Clickfunnels, then pages of Clickfunnels, then a step-by-step process to set up 22 different funnels. Pros: There’s a lot of pictures and step-by-step guide to help you understand how funnels work, and to make sure you use Clickfunnels to the best extent. It shows you how to fit every element to which part of the page so you don’t need to do any guesswork at all. Cons: The cost of the book is actually pretty high, even if it’s shipping and handling. You also would need Clickfunnels to actually use this to the fullest extent. My Recommendations: If you’re a Clickfunnels user that wants to get more out of the program, this program is definitely for you. If you’re thinking about getting Clickfunnels, then this book is definitely something you would want to guide you along. Think about it as a self-help guide that you can refer to when you’re building your funnels. As a Clickfunnels member myself, this was pretty interesting. This was basically another tool that was recently released by Russell Brunson. A ‘Cookbook’ for funnels was definitely something that’s interesting because he created a cooking show to promote this book as well too. The 3 videos are about 40 to 50 minutes of pure value and Russell actually explaining everything you need to know about Funnels. 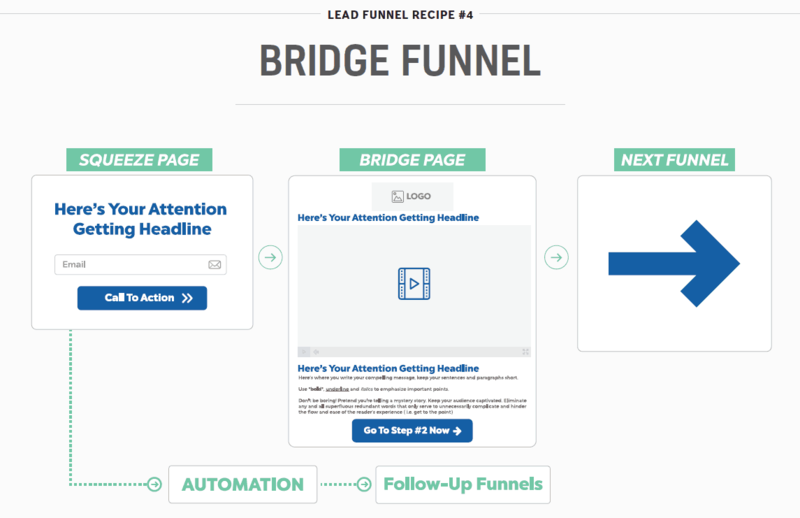 Page Recipes: These explain each element that is available in Clickfunnels when building your funnel. 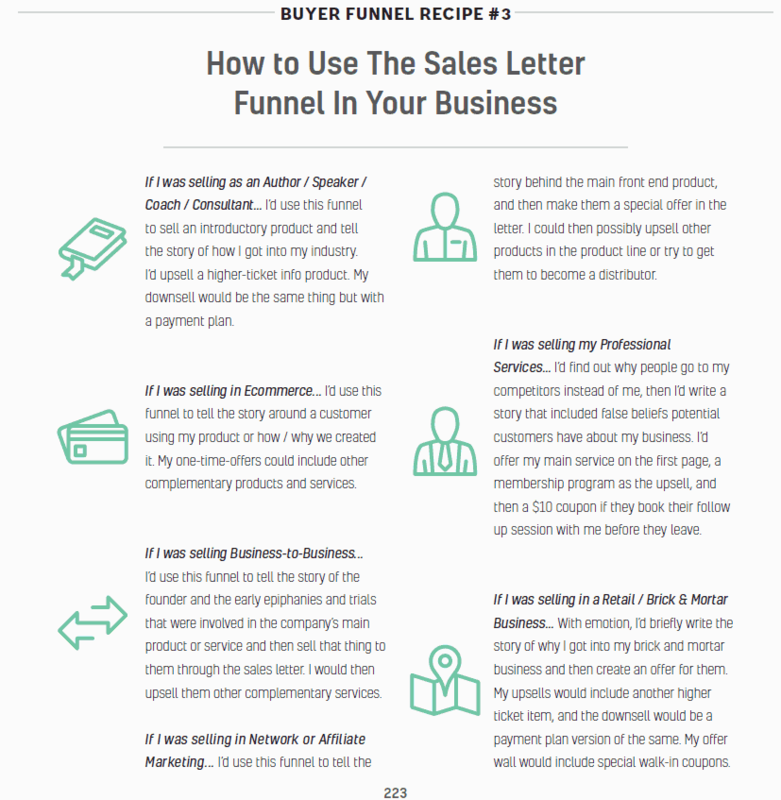 Funnel Recipes: Piecing together all the elements together and creating a functional funnel to get leads and sales. 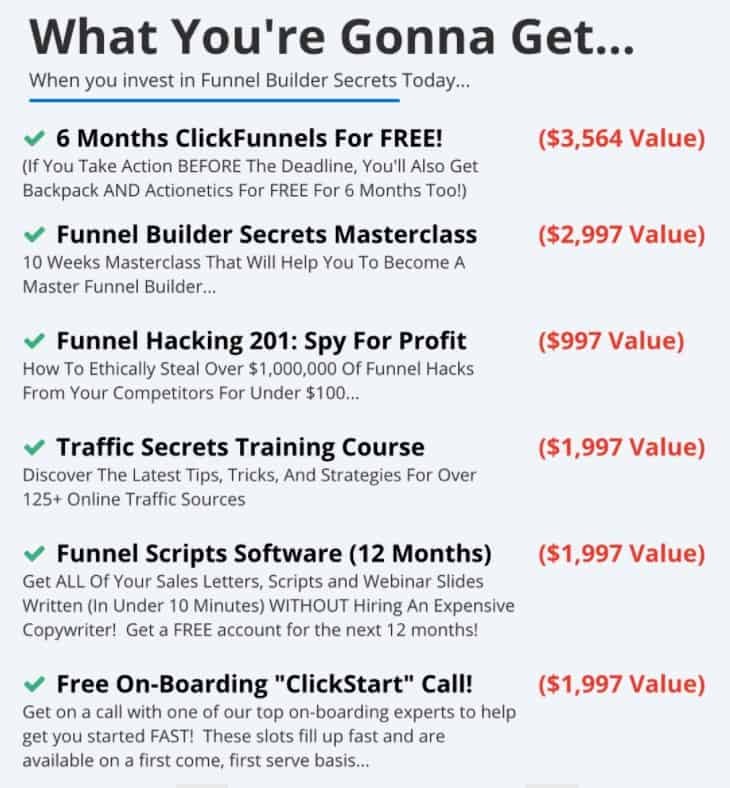 He reveals 22 different funnels which you can get in today. Also, you can download the digital copy of the Funnel HackersCookbook, with the option to purchase the physical copy of it as well! Of course, the main goal is to get you to buy the physical copy of the book that costs $19.95 or $38.95. While Russell claim the book is free and all you need to do is pay shipping, it feels like the cost of the entire book already since I had to pay the latter option. Unless you are in US (Where you pay $19.95), the book will cost $38.95 if you are in any country besides US. This is pretty hefty compared to his other books Dotcom Secrets and Expert Secrets. Either way, the physical copy of the book is really good if you want a instructional guide to Clickfunnels. 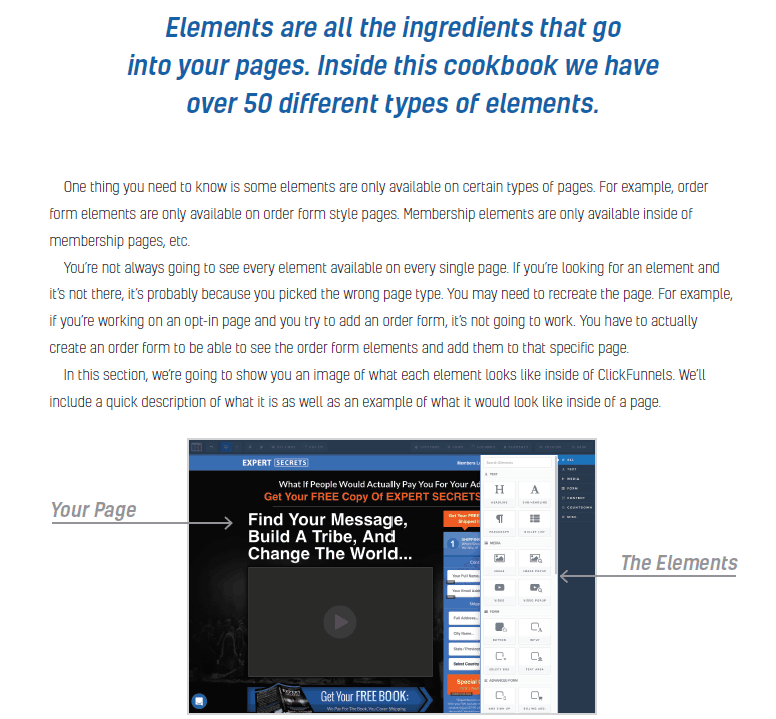 Imagine being able to refer to a certain element or funnel that you need to create and able to do it by referring to the cookbook. It’s almost similar to cooking a dish and having the access to the recipe at your fingertips. You get the option to purchase the Black Box which also includes both of his previous books plus a lot of bonuses that aren’t available anywhere. This adds another $37 + $9.95 to your purchase but you’ll get the complete set of books to supplement Clickfunnels. This offer is definitely recommended if you don’t have dotcom secrets and experts secrets yet, and you also want to learn how Russell built his multi-million dollar business using funnels. These books contain many golden tips such as scripts, templates and everything you need to move your business forward. Anyway, that’s about it! Below will be a more extensive review of the book and whether you should be picking it up or not. You’ll get to see what’s some content you may access inside also. 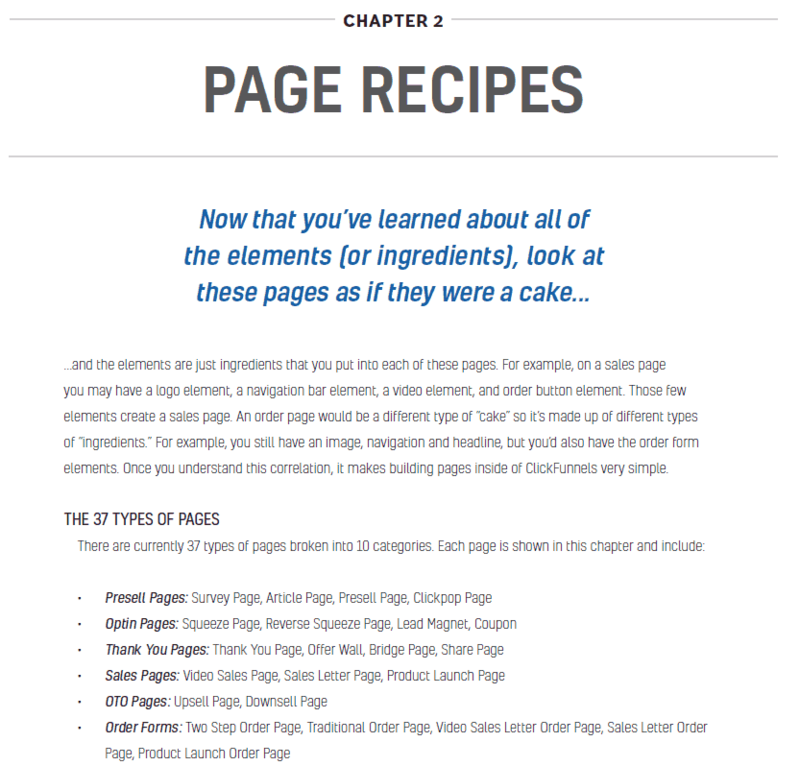 While the Cookbook is designed to work with Clickfunnels, it is a standalone product. However, many of the things reference to Clickfunnels and using the software to build funnels. The points below will cover a little bit on what’s covered, what you might expect, and whether if it even works at all. 1. 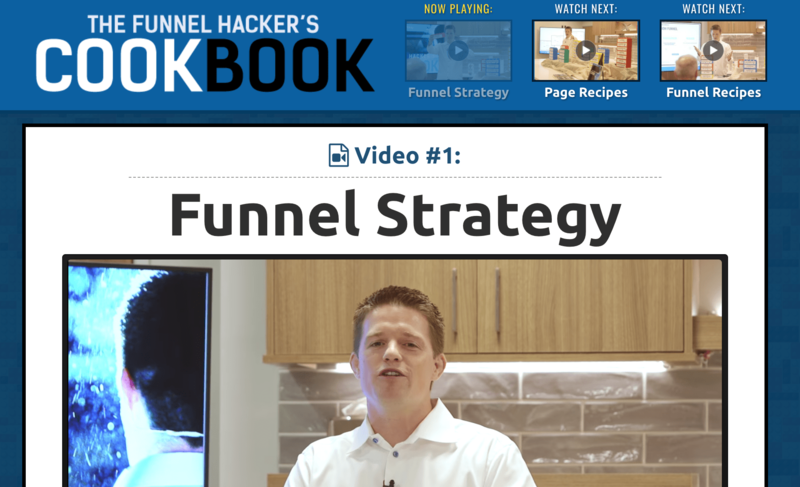 Does the Funnel Hackers Cookbook Work? Is it Legit at all? Buying a physical product may be a scary process because you may not receive the product at all. As of writing this review, i’m still waiting for my personal copy as well. But I have ordered books from Russell many times, and they have all arrived to me as you can see below. While waiting for the physical copy, I can definitely start using the information in the book as there’s a digital copy of the book as well. Here’s the table of contents of what you’re going to get inside the book. This is definitely not a ‘scam’ as there is already a lot of value being delivered while you wait for the book. In any case, you can always message the support in Clickfunnels to get help if you waited long for the book. From what I can see, there are some upsells inside the funnels. First when you’re buying the book, there’s the black box upsell. Dotcom Secrets and Expert Secrets will help make this book a lot easier to utilize. Adding this order will add a Dotcom Secrets book, Expert Secrets and a few other unannounced books with your order for an additional $37 + $9.95. The standalone cost of Dotcom Secrets and Expert Secrets is already $15 each, so this gives you a lot of other goodies for a small additional cost. 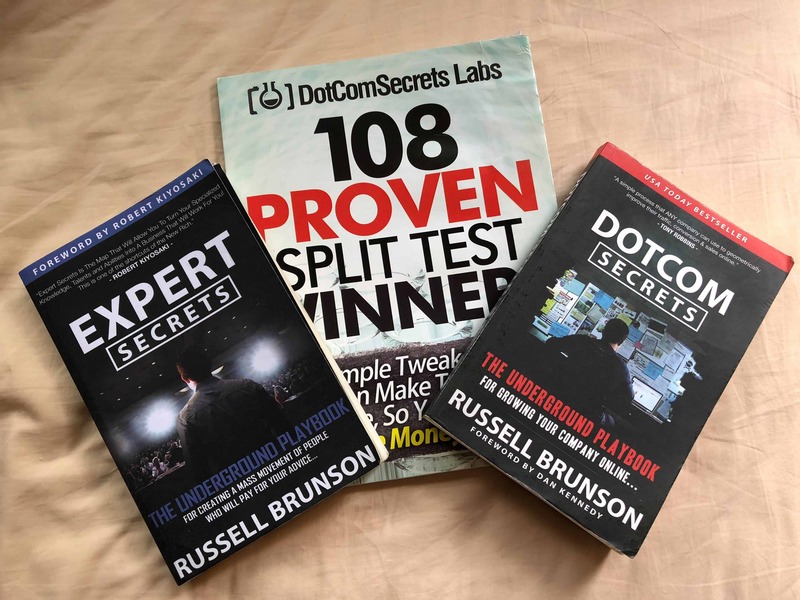 If you don’t have the books, this deal is great to get because these two books goes through Russell’s secrets to business and how he built his million dollar empires which includes all his strategies and tactics he did. Funnel Immersion is a program that is designed for people who want to ‘get into’ funnels and fully immerse themselves in the experience. It is a membership site that covers all those topics and you can get into all these straight away for only $297. 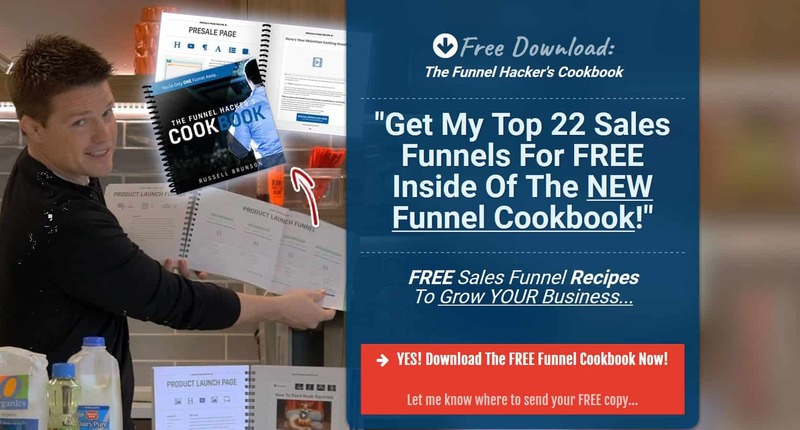 However, this promotion is not available anymore as the offer has been shut down and only available once you buy the Funnel Hackers Cookbook. 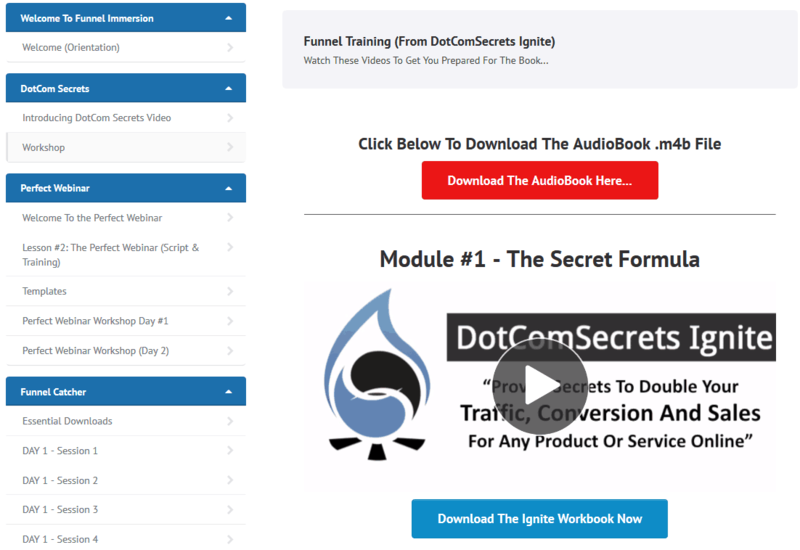 The Funnel Builder Masterclass is designed for people who want to delve and get everything that Clickfunnels have to offer. It starts from $1,997 to get everything which is bundled in that it deals with every problem you may face, including writing copy, building funnels, getting traffic, and the software to make funnel builder a painless process. It’s designed in a way so that you don’t need any other programs to succeed in your business and getting every of your problems solved if you purchase it. Of course, this is a hefty price for most people unless you are already in business and want to scale further. If that’s you, then go ahead and get this offer. 3. Does This Book Works For Beginners? What If I Have No Prior Experience? If you’re new to Clickfunnels, or even new to funnels in general and want to learn more about it then definitely pick up a copy of this book! This book is catered to beginners who need a step-by-step instruction on creating funnels in Clickfunnels. With everything made simple including diagrams and step-by-step, you won’t ever get lost. 4. What Is Covered Inside The Funnel Hackers Cookbook? The book is 255 pages long, but you’ll go through it pretty much as majority are pictures of funnels and elements. It is more of a visual book. The book is split into three sections: Elements, Pages and Funnels. It goes really in depth in each of these sections as it explains what everything does, and how it all fits together like lego pieces. 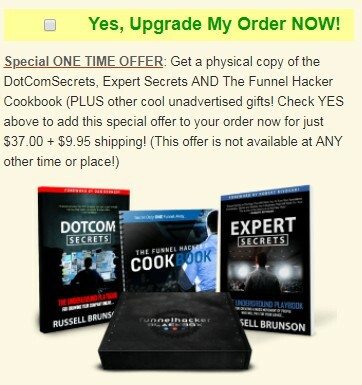 The Funnel Hacker Cook Book is created by Russell Brunson and his company, Etison LLC. I reviewed Russell’s credibility in my Clickfunnels affiliate boot camp review here. and my Clickfunnels review. 6. Can you really earn from the book? Russell’s books and programs are all about making money, but it will help if you already have a product or already in business. If you’re completely new to business and not sure where to even begin, then you may not earn much or at all until you understand the strategies thoroughly. First way: The book will help you speed through implementing funnels in your business, and make sure you do everything correctly. With just one funnel done right, you can see increased profits and sales after driving traffic through it. You may even hit their 2 comma club if you manage to hit $1m revenue through Clickfunnels. Second way: You can sign up for Clickfunnels Affiliate Bootcamp over here, then use the strategies in the bootcamp to promote this book, Clickfunnels and many other products that they have. For me, I’m doing both as I use Funnels for a few of my businesses, while also promoting Clickfunnels (Like this article you’re reading) as it is a really good tool to generate profits. Especially if you’re a business who wants to sell online, funnels make it really easy to do so as it can work with literally any businesses out there. 7. What is their money back guarantee? As a long time Clickfunnels user, I know that Russell always provide a money back guarantee of 30 days for his programs and books. You can easily message the support and get a full refund with no questions asked within 30 days. My personal experience with Clickfunnels was that they process refunds very quickly as I have helped friends with their refunds before. They uphold the 30 days refund guarantee strongly, so you can be sure that you are secured with this guarantee. High Recommended for Clickfunnels Users who want a step-by-step guide to building funnels easily. The cost is a little steep for the boot especially if you’re not in US. 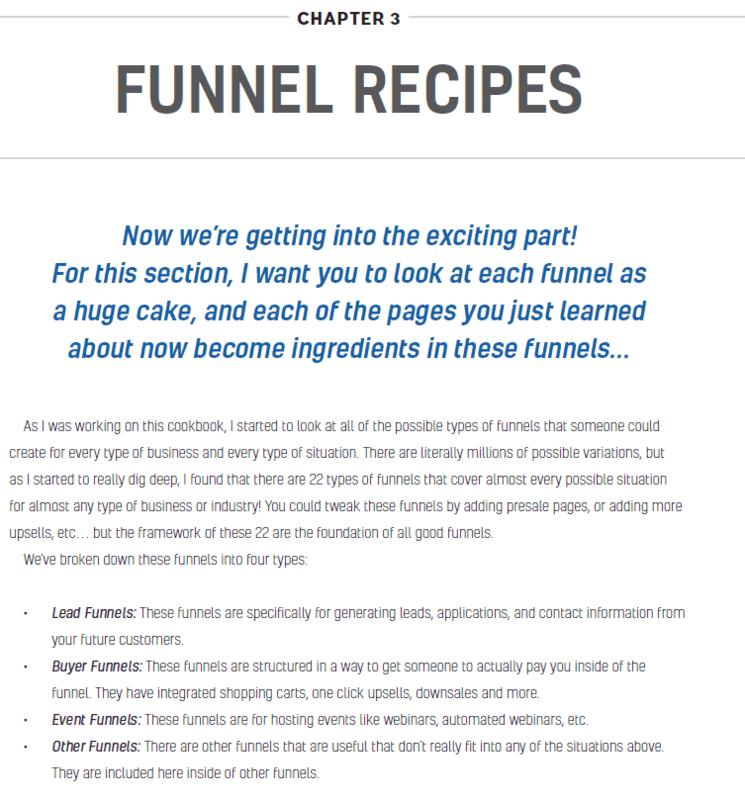 Funnel Hackers Cookbook is one of the more interesting books that I bought because I already used Clickfunnels for quite awhile and am quite experienced at the platform already. However, the funnels that was covered in the book is really valuable and is worth all the money for the book in my opinion. Any funnel I build can easily make back all the money that I spent investing in this book. If you landed up on this page, that means you somehow already know about Clickfunnels and what it does. This books compliments it very well too. If you’re an affiliate or looking for a way to make money online, Clickfunnels Affiliate Boot Camp is the place to learn more of how you can make money promoting Clickfunnels and this book too. Also, definitely check out Expert Secrets and Dotcom Secrets. These books cover a lot of business related strategies and how you get build an audience, get traffic and a brand for yourself. If you’re not ready to invest in the physical book yet, then get the digital copy first by clicking the button below. I’m still waiting for my physical copy as of writing this, but I have gone through the digital one and really love what’s being covered inside. Definitely get the digital copy first while you wait! So what do you think about Funnel Hackers Cookbook? Do you like the step-by-step guide? Let me know in the comments below!